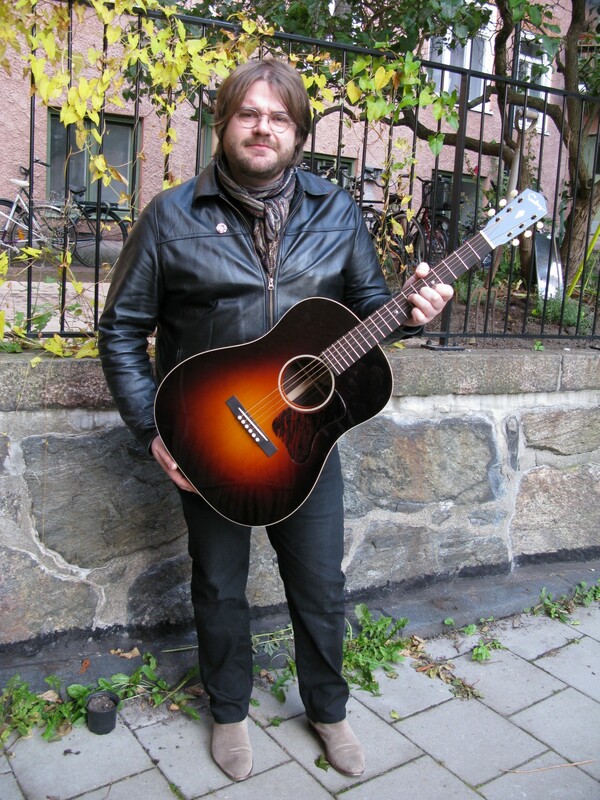 A couple of years ago I was looking for an old Gibson, and came across a Nick Lucas. It was magnificent. But it’s not very practical to have a fragile 70 year old guitar on the road. Not to mention that they cost a fortune. So I contacted David. I explained what I wanted in terms of sound, playability and looks. And he was very accommodating, and open to my design ideas. The guitar David made for me, turned out to be one of the best guitars I’ve ever played. It combined the vintage feel and looks of a guitar from the thirties. As well as the possibility to tour with it, without constantly worrying about that the guitar would fall to pieces. For the last three years I’ve been playing it almost daily, and it’s just getting better and better. It performs just as good in the studio as on stage. David is definitely one of the best luthiers around, and he deserves all the success he can get.